Her story of generosity will inspire you! Kennedy was a winner in an essay writing contest, organized by the City of Waterloo, that her school participated in. She decided to write her essay on the subject of Waterloo’s homeless situation and how it could be improved. Her words were so powerful that she was chosen to be a City Councillor for a day. We could stop Kennedy’s story right there and it would still be pretty impressive. The thing is, Kennedy’s passion for helping vulnerable members of her community didn’t end with the written word. 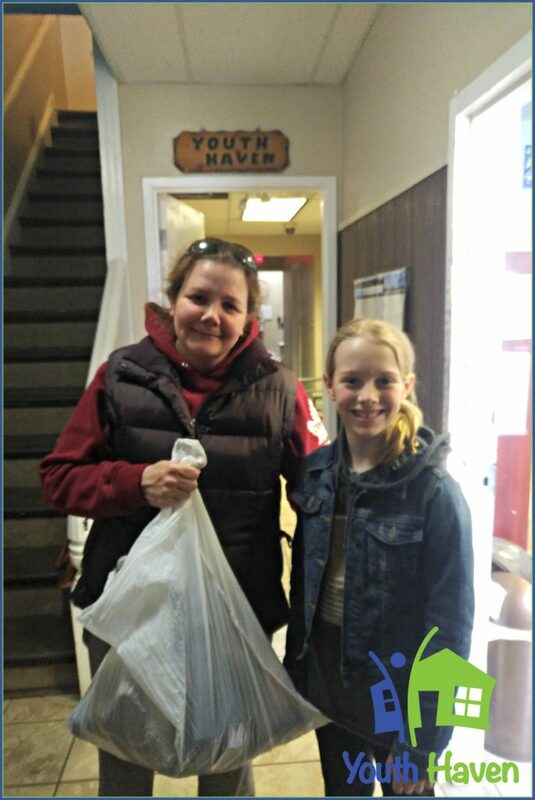 For her birthday, Kennedy requested that her guests not bring her presents, but instead asked them to bring items that could be donated to the homeless population. Her plan was a remarkable success and, recently, she brought some of her “birthday gifts” to Youth Haven to share with our youth. Thank you, Kennedy, for the generosity of your spirit, your remarkable leadership at such a young age, and for helping our youth. You rock! Were you inspired by Kennedy’s words and actions? Let them ripple through our community by making a donation in her honour to Youth Haven!